Home > Resources > Transfer > How to Transfer HTC Contacts to iPhone? Mobile phone is playing a more and more essential role in human life and work and it is common to see a people has more than one phone, such as one iPhone and one HTC phone at the same time. Then, it is necessary for him to transfer data between the two phones from time to time if he want to keep the data on the two phones simultaneously. It would be a pity if you can't sync all your contacts from HTC to iPhone since contacts are important for communication. Now, don't worry. Transferring contacts from HTC to iPhone, or vice versa is a bit tricky, but not impossible. There is an easy and safe way that may help you to easily and quickly perform the contacts transfer between the two phones. 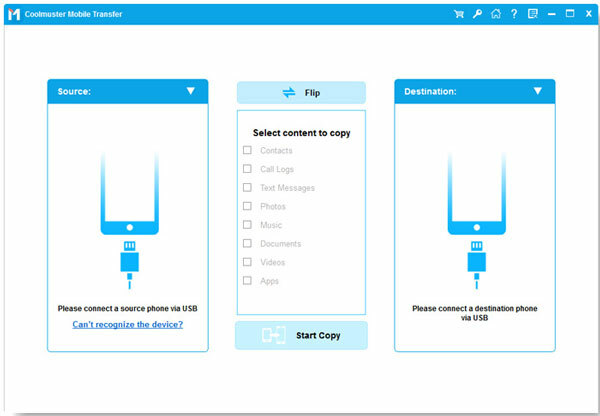 All what you need is the Coolmuster Mobile Transfer, which is used for transferring files, such as contacts, text messages, music songs, photos, videos, apps, and etc. among iOS devices, Android devices and Symbian devices without additional help. 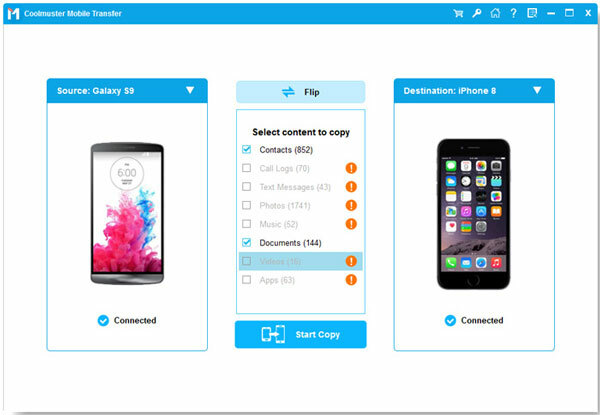 It also helps users to transfer the non-purchased items from mobile phone to computer, and restore them to phone with ease. The following guidance will show you how to transfer contacts from HTC One M8/M9/Desire/Wildfire/Hero to iPhone 7/7 Plus/6S/6S Plus/6/6 Plus/SE/5S by using Mobile Transfer, and you are allowed to free download the software to have a try. Run Coolmuster Mobile Transfer and connect your HTC phone and iPhone to computer with USB. Choose the first "Phone to Phone Transfer" mode to enter the phone to phone transferring window. Choose Contacts from the top menu and select the contacts you need in the contact list. Just tick the checkbox in front of the contacts that you want to transfer from your HTC phone to iPhone. After ticked off all the contacts that you want to transfer, you can give a click transferring arrow which is pointed to the target iPhone to start the contacts transfer.